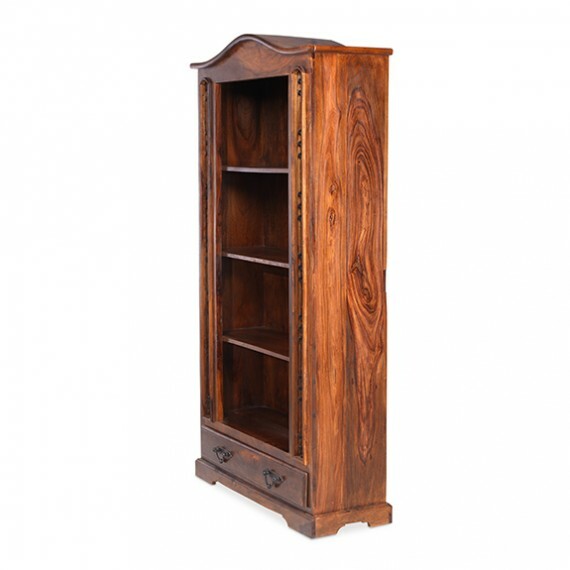 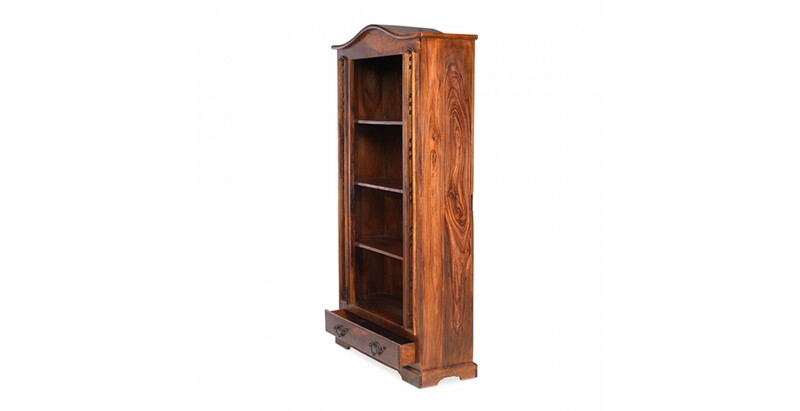 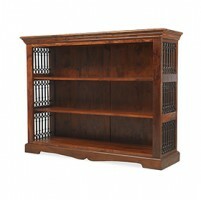 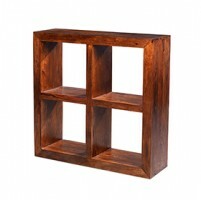 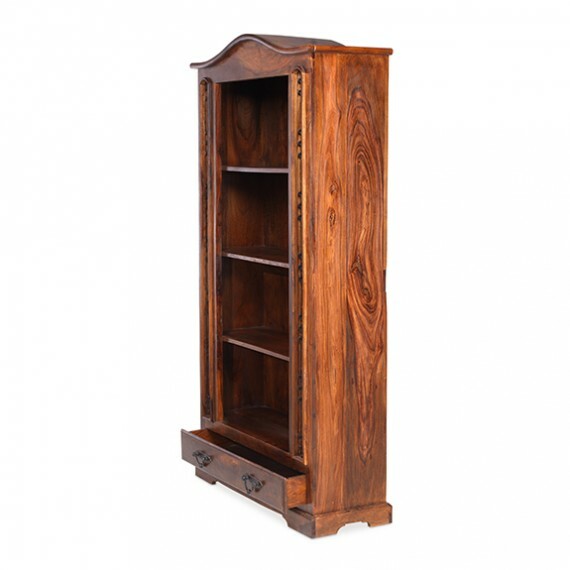 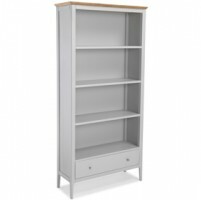 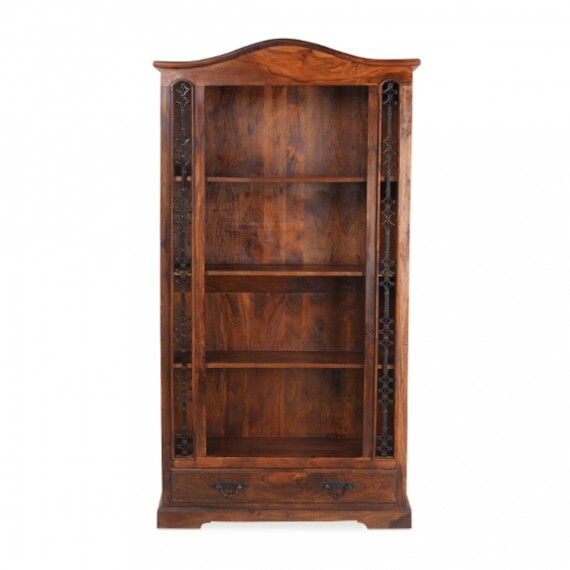 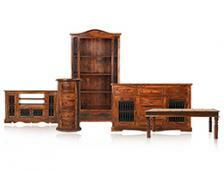 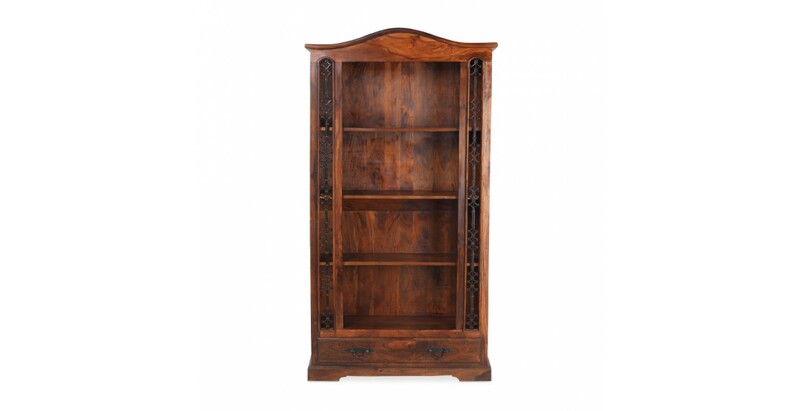 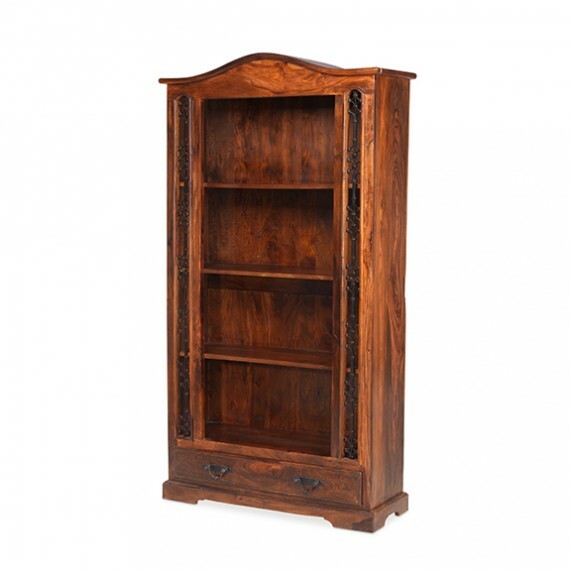 Equally impressive on its own as a signature piece or as part of an overall look, this beautifully handcrafted bookcase will add a dash of colonial style to your home. 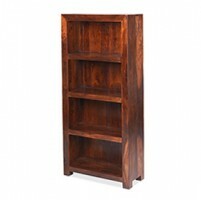 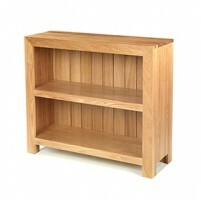 Four sturdy shelves will accommodate your favourite books, DVDs or ornaments and there's a roomy drawer at the bottom to provide additional storage. 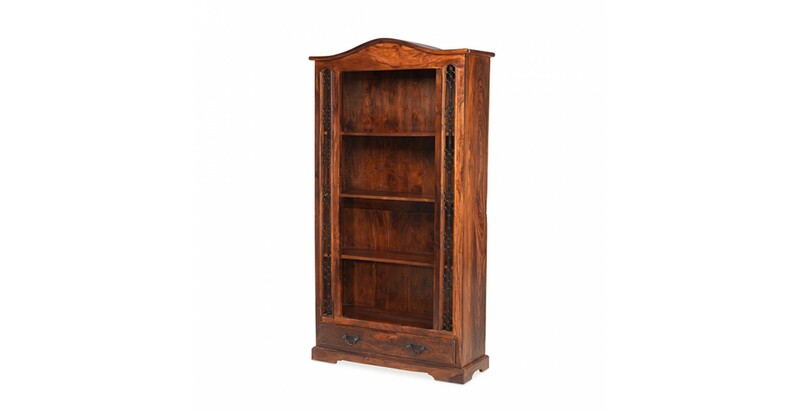 Authentic detail abounds, from the wrought iron trellis work to the elegant arched top to the carved plinth and iron drop handles, and the subtle variations in its rich, dark tones are highlighted to perfection by the Wax Lacquer Finish.